Editor’s note: This article discusses the results of a laboratory study done in mice and human cells. The drug has not yet been tested in lung cancer patients, although it is currently being tested in patients with other types of cancer. “An existing drug may help some patients with non-small-cell lung cancer (NSCLC) whose tumors have become resistant to chemotherapy, finds a study from Boston Children’s Hospital and the Dana-Farber Cancer Institute (DFCI). The findings, in human cancer cells and in mice, suggest a window of vulnerability in NSCLC, the leading cause of cancer-related deaths worldwide.1 The work was published online today by the journal Nature. “NSCLC is a highly genetically complex cancer with many different subtypes, each bearing different mutations. In two common subtypes that do not respond to standard chemotherapy—tumors with BRG1 or EGFR mutations—the researchers increased the effectiveness of etoposide, a common chemotherapy agent, by adding an epigenetic therapy already in clinical testing. The gist: A recent study showed similar survival rates for two different drug combinations for stage III non-small cell lung cancer (NSCLC). The study compared EP (treatment with the drugs etoposide and cisplatin) with CP (carboplatin plus paclitaxel). Both drug combinations were given along with radiation therapy. The study showed that EP might cause worse side effects, but the researchers say that more research will be needed to determine whether either EP or CP is better for treating stage III NSCLC. “An analysis of Veterans Health Administration patients showed that etoposide/cisplatin (EP) and carboplatin/paclitaxel (CP) yielded similar overall survival along with radiotherapy in patients with stage III non–small-cell lung cancer (NSCLC), but EP was associated with increased morbidity. Prospective studies are still needed to determine the optimal treatment in these patients. “ ‘There is considerable concern that CP, although better tolerated than EP, may be inferior in terms of disease control,’ wrote study authors led by Rafael Santana-Davila, MD, of the University of Washington in Seattle. To better understand the differences between the regimens, researchers looked into outcomes of patients in the VA Central Cancer Registry. “Those limitations include a lack of data on dose or duration of therapy, and there were treatment differences such as an increased rate of consolidation chemotherapy with CP patients. The reliance on coded administrative data to identify toxicities is also less reliable than methods used in clinical trials. The gist: Recent research comparing two drug combinations for stage III non-small cell lung cancer (NSCLC) suggests that the drug combo etoposide/cisplatin does not help people live longer than carboplatin/paclitaxel does, and it also may result in more side effects. Both drug combos are taken alongside radiation treatment. “In an analysis of Veterans Health Administration data reported in the Journal of Clinical Oncology, Santana-Davila et al found that etoposide/cisplatin resulted in no overall survival difference but greater morbidity compared with carboplatin/paclitaxel used concurrently with radiotherapy in patients with stage III non–small cell lung cancer (NSCLC). 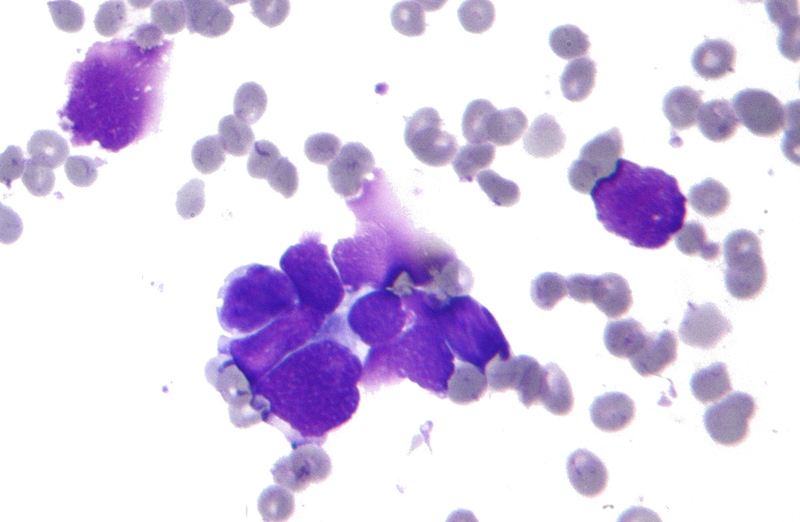 “Cisplatin, etoposide, and irinotecan outperformed topotecan as second-line chemotherapy in patients with sensitive relapsed small-cell lung cancer (SCLC) in a Japanese trial, though there was substantially increased toxicity with the regimen. Editor’s note: This story is about a clinical trial with volunteer patients to test a new treatment for small cell lung cancer (SCLC). The new treatment is specifically for people with SCLC who were treated with chemotherapy successfully, but whose cancer returned more than 3 months after chemo—this is known as “sensitive relapsed SCLC.” The new treatment combines three chemo drugs: cisplatin, etoposide, and irinotecan. In the clinical trial, some patients took the chemo combo and some were treated with the chemo drug topotecan, which is a standard treatment for the condition. Patients who took the new treatment lived longer, but they had more toxic side effects than the patients who took topotecan.